Sandeep has over 18 years of success driving the product development of ecommerce, ebusiness, mobile, and digital strategies/solutions that have delivered dramatic increases in sales, profits and market share. He rolls up his sleeves to provide value at all levels of the organization. 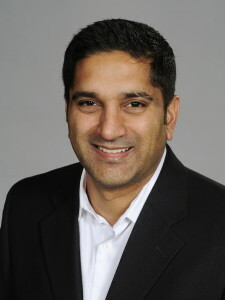 His background includes product transformation roles at Sears, US Cellular, Primetime U.S., ABN Amro / LaSalle Bank, AON Risk Services, World Chain and Accenture. He has extensive experience and success turning around declining sales and profits for businesses ranging to $500M leveraging agile product management principles, with a consistent record of exceeding goals. He is particularly strong at working with clients in creating and executing the product strategy, and driving technology innovations to deliver rapid business results. He is equally strong in identifying the opportunities, introducing and driving the adoption of agile standards and best practices in product management, and mobilizing teams to enhance the user experience and strengthen financial performance. Sandeep attended Michigan State University and University of Cambridge (UK) and received his degree in business. He is also a Six Sigma Green Belt.